From a small beginning in 1990 when Kingston Rotary Club organised a day out to Thorpe Park for 200 disabled and disadvantaged children, this enterprise has now grown into a nationwide Rotary activity which in 2018 saw over 30,000 children attending venues all over the UK. The day of fun opportunities and positive experiences enhances children’s wellbeing and outlook for a happier, more inclusive future. 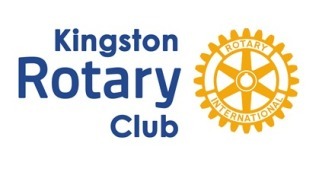 Nowadays, for these well deserving children from the two Boroughs of Kingston upon Thames and Elmbridge, the Kids Out committee composed of Kingston, New Malden, Surbiton and Walton – on – Thames Rotary Clubs,, organises and hosts annual trips to Chessington World of Adventures. This year the 27th Anniversary we had perfect weather for the children, not too hot and no rain, and they had every opportunity to experience the attractions of Chessington World of Adventures. After all the excitement the children were sitting happily together on a huge field enjoying their lunches and soft drinks which were handed out by Rotary volunteers. All in all it was a great opportunity to show the good work Rotary does in the local community. The KidsOut Committee wants to thank the Mayor of Elmbridge and all the volunteers and Rotarians who made it such a hugely successful day for the children.